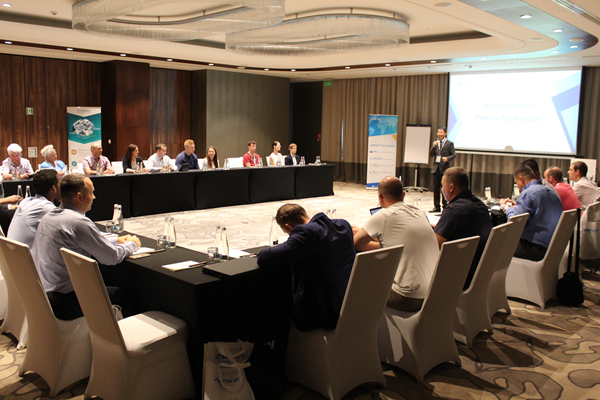 GUANGZHOU, CHINA--August 23, 2018--From August 10-11, ZW3D European Partner Conference (ZPC) was held successfully in Warsaw, Poland. 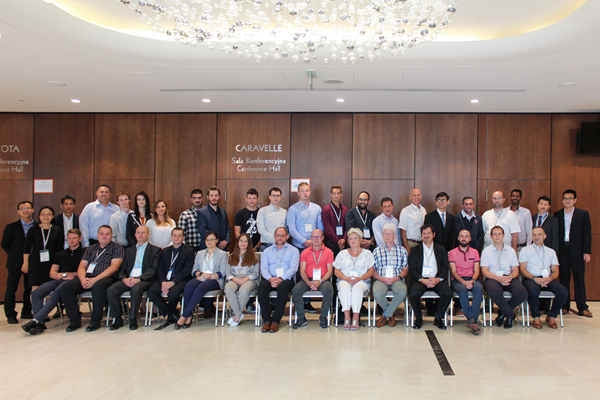 Over 30 partners from Europe gathered to discuss, exchange and explore the opportunities of growing ZW3D and CADbro better in the CAD/CAM Industry. 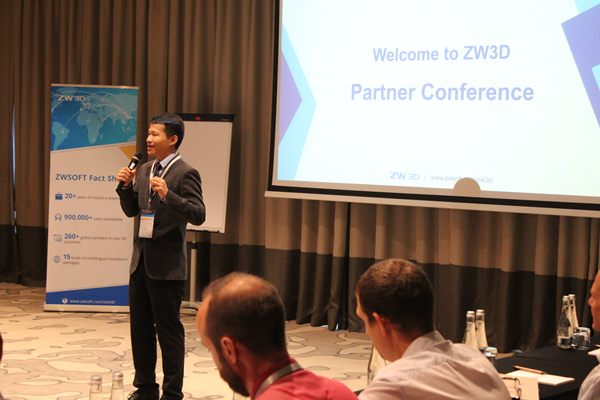 Director of ZW3D overseas business, Colin Lin, opened the day by stating 2 topics: ZWSOFT’s rising profile and future product strategy. Besides demonstrating visible climbing of ZW3D business, he introduced ZWSIM, the coming 3D simulation product, to provide precision efficiency and powerful CAD ability. Following the highlights review of ZW3D 2019 by William Li, ZW3D Technical Manager, partners discussed the pros & cons, and many suggestions came out for better development. About the next 2020 version, Director of R&D Center in China， Jerry Feng, explained the upgraded CAD/CAM capabilities, which inspired all participators to work for more reliable tomorrow. After hearing amazing 2020 development plan, the conversation shifted to ZW3D’s wish list, shared by President of ZWSOFT America – Mark Vorwalker. The clear roadmap he presented will give ZW3D capabilities to continue innovating today and in the future. ZW3D’s ‘Win-win’ mentality was reinforced by partners who eagerly shared the business opportunities they’ve realized. 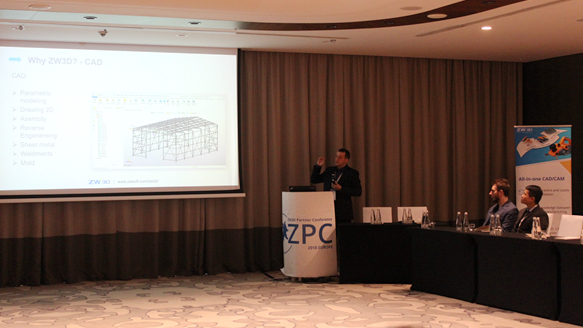 Attendees heard from 3D Master, a top local reseller in Poland, on how they’re turning tech trends into business value. As we know, ZW3D keeps providing broad and robust functions for a variety of industrial applications. How to respond to different requirements becomes a pain point. Steven Sun, ZW3D Region Manager with unique insights, showed some sales case for reference. The theme was to start small and scale fast. Because online marketing moves at the speed of light. To keep up, partners also need a critical marketing sense. 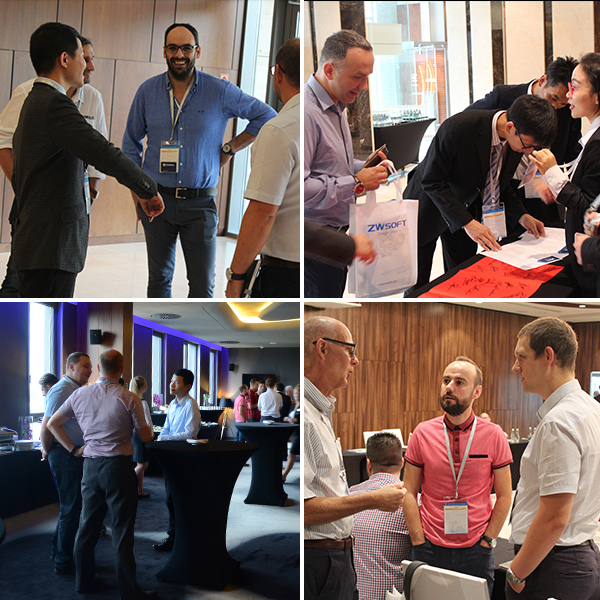 That’ s why ZW3D Marketing Manager, Michelle Wong were there to empower partners with the mental building blocks to stay ahead in an aggressive CAD/CAM industry. ZW3D is enabling users to realize the improving competitive stances. And the selection of ZW3D by customers and partners around the world is a testament to ZWSOFT’s vision, technological prowess, and commitment to customer success. 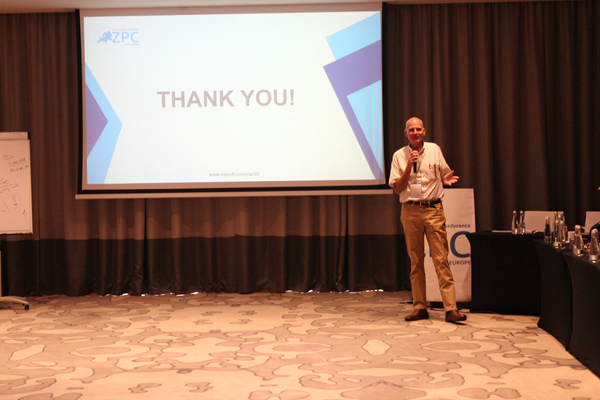 And the ZPC was the perfect venue for ZW3D and partners to discuss the expansion of their strategic relationship. Let’s grow ZW3D business massively in CAD/CAM industry. ZW3D, an integrated CAD/CAM solution designed for the complete product development process, features the fastest kernel for Solid-surface Hybrid Modeling, non-solid mold parting, and smart CNC Machining tactics from 2-axis to 5-axis.